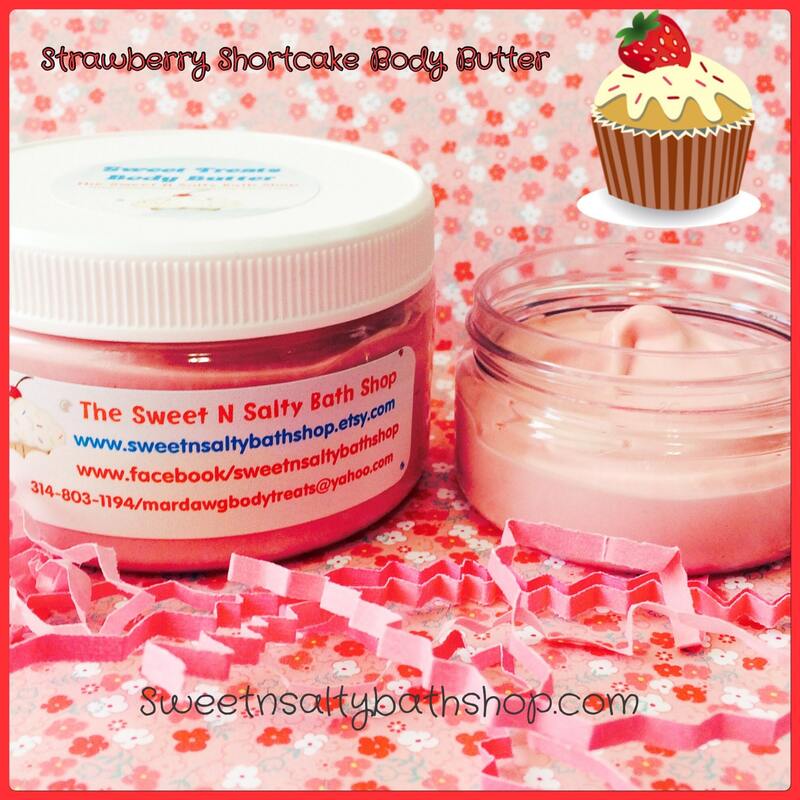 Strawberry Shortcake Sweet Treats Whipped Body Butter-More Yummy Scents to Choose From!! 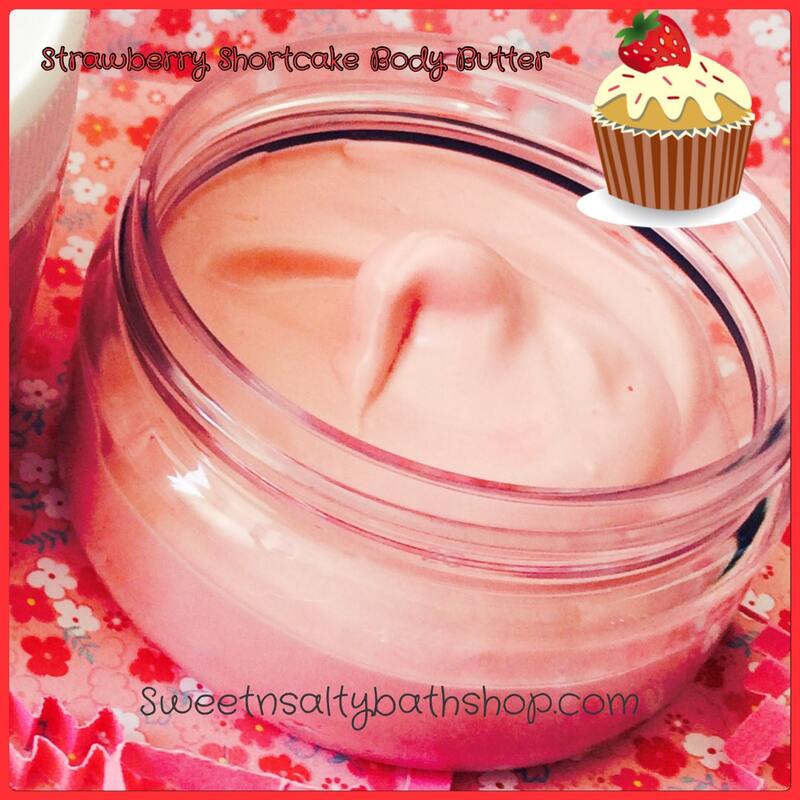 This luxurious and deliciously scented whipped body butter is perfect for moisturizing and rejuvenating dry skin without leaving it feeling greasy. It is also great for maintaining healthy skin as well. Made with all natural, high quality ingredients, the avocado and mango butter will leave your skin soft and velvety smooth. No need to use much, this thick butter goes a long way! 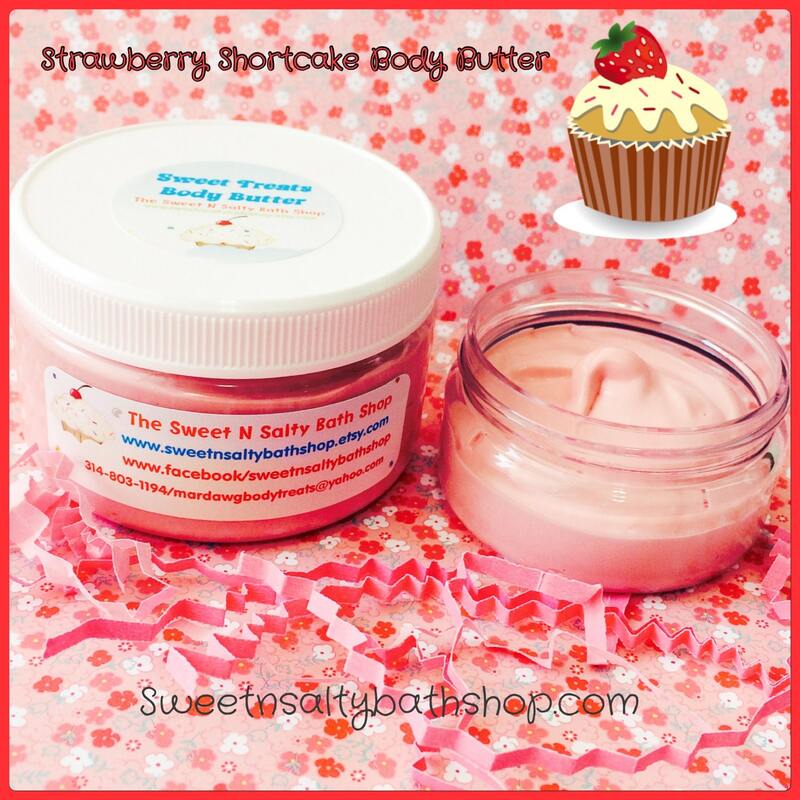 A scoopful is all you need to have long lasting silky smooth skin! 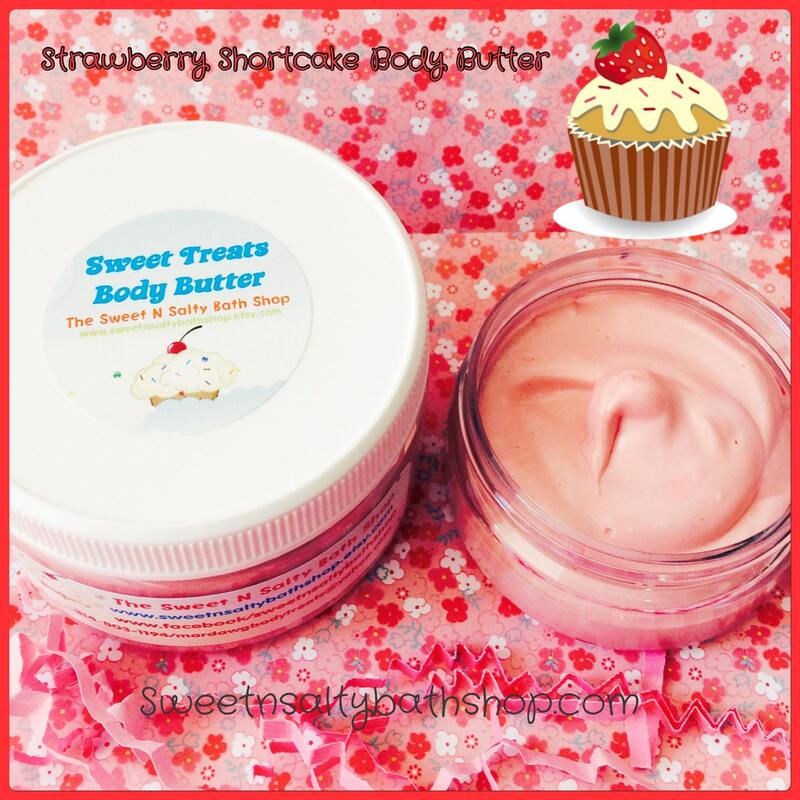 The creamy butter absorbs into skin as oil, conditioning and moisturizing deep down below the skins surface, leaving a satin like feel. After one use, you will notice an amazing difference in the look and feel of your skin! A true dessert for your body without the calories!! This listing is for one 4 or 8 oz. jar of decedent body butter that comes, labeled, wrapped in a cello bag with a ribbon bow and includes a spatula for easy application.